Wearing ski goggles over glasses can be uncomfortable. But so can wearing contact lenses for some. On the other hand you could get prescription inserts, or a prescription goggle lens. However, these can prove expensive. Leaving you no option but to wear ski goggles over glasses. But this list of OTG Goggles (Over the Glasses) runs down some of the best ski goggles for glasses wearers on Discounted Sunglasses. These cheap OTG ski goggles make for an affordable and comfortable companion for your snowboarding or skiing trips. These OTG Goggles range from budget to slightly higher end. Meaning they're ideal goggles for beginners. 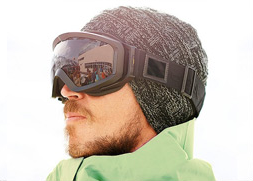 While, also featuring goggles for experienced skiers and snowboarders. The biggest issue for those wearing ski goggles over glasses is fogging. Not only is there the worry of the goggle fogging, but also your glasses. Many goggles in this list have handy pieces of tech to combat this. So in no particular order, here's our best ski goggles for glasses wearers. These Smith Showcase OTG Goggles are ideal for women and those with smaller adult heads. The Showcase showcases a heap of tech to ensure a comfortable wear. Most importantly, the foam is a floating foam membrane. This therefore releases the pressure that is present when the arms of glasses push into the face. Ensuring a more comfortable wear when wearing these ski goggles over glasses. Furthermore, some models of the Showcase feature the Porex­™ filter. This is a little circle on the lens, which is out of the way of your eyeline most of the time. It allows air pressure to enter the lens. In doing so, it equalises the air pressure at altitude and inside the goggles. This removes the risk of fogging, and your glasses from fogging too. Little etches on the rear side of the lens enhances this. These discourage moisture from being able to settle and reducing fogging. However nifty, it won't help your glasses much. Other features that take our fancy are the lens quality and the easy to use strap. The lenses available in the Smith Showcase OTG Goggle are the Chroma Pop lenses. 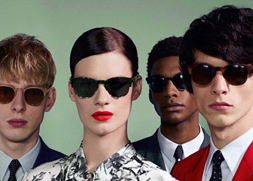 These are high contrast, colour enhancing lenses. These levels of purity and enhancement come from the lens filtering the colour crossovers our eye cannot do naturally. This allows to see more detail and do more as you can see more. In addition they allow the lens to effectively breathe to prevent moisture entry. There's a reason these are Smith's best lens. To further enhance your vision, the lens is spherical. This means it curves on the y and x axis, allowing for a larger field of view. And that strap we mentioned, that is a silicon lined, buckle strap which is is quickly and easily adaptable. Perfect for that helmet friendly fit. Many people, even those who've never worn snow goggles will have heard of the Flight Deck. There's a reason too. These goggles provide a whole host of Oakley tech we've come accustom to. And luckily for glasses wearers, these are OTG goggles too. Little areas of the foam in the goggle are not present. This is so the glasses can sit nicely without pressing against your face. Whereas the rest of the foam is present for comfort and wicking away moisture. Preventing it from building on your glasses and the inner lens. And the 360° venting system whisks away pesky bits of moisture that build inside. The Oakley Flight Deck originally took the plaudits for the intuitive rimless design. Therefore opening up a huge range of view, especially in the periphery. This is only enhanced by the Prizm Lenses. These are possibly one of the best lenses in the world. Rivaled by the Chroma Pop lens of the Smith goggles. However, the Prizm lens offers the widest range of use through different levels of light. Meaning you don't have to change you lenses as much with the easy lens switch tech these goggles provide. In addition, the whole goggle is held together nicely with it's helmet friendly fit. The strap aids by boasting a silicon insert. And we haven't even mentioned the High Definition Optics. In all, these goggles are top of the class. Perfect for those who look for the premium product, or those who ski/snowboard a lot. These Cébé Infinity Goggles are ideal goggles for beginners. Those who don't want to spend much just in case the slope life isn't for you, take a look at these. Just like all the goggles on this list, these are OTG goggles. Lateral cut outs in the foam provide a home for your glasses. Therefore allowing them to sit comfortably without pressing on your face. And the double lens acts as a way of keeping out moisture, and maintaining a good balance of air pressure for anti-fogging. To enhance the anti-fogging, these goggles feature vented lenses. In addition, these lenses are cylindrical. This provides a larger field of view due to the curvature on both the x and y axis. Compared to the others on the list, these Cébé goggles are slight more basic in features. But still give a strong account for themselves. One feature we love is the articulated outriggers. This feature enables a better helmet fit, but more importantly prevents the frame form deforming. Meaning that your Cébé Infinity Goggles will still be the same shape when you've used them a fair few times as when they arrived to your door with our free UK delivery. Finally, these ski goggles for glasses wearers feature a handy silicon strap to increase the grip and fit around a helmet. These helmet compatible Oakley Canopy goggles are great for glasses wearers. If you wear ski goggles over glasses, you need to take these into account. The OTG design is taken one step further. Not only is there room for glasses, but an O-Flow arch. This is a shallower nose-piece which reduces pressure and gives a more comfortable view. Allowing for more room, and less pressure for your glasses to fit underneath. Furthermore, the frame is an O Matter frame. 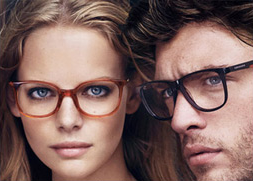 In other words, stronger and lighter than standard acetate frames. And the comfort is only improved by the triple layer foam. Just like the Flight Deck, these Canopy goggles feature HDO, Prizm lenses. Ideal for the best optics in a wide range of lighting conditions. Providing, the highest amount of contrast and colour enhancement on the planet. All while providing 100% eye protection from UVA/UVB/UVC rays. But more importantly, the lenses benefit from an F3 anti-fog coating. A permanent coating which requires little maintenance to uphold. This coating reduces fogging and absorbs a minimum of 2ml of moisture. Handy when paired with the 3x layered foam. These Smith I/OX Goggles are slightly larger than average, and are more suited to larger heads and males. They also feature a floating membrane of foam, perfect for wearing ski goggles over glasses. This large frame is complimented with an ultra wide silicon strap. These goggles are some of the best we offer for many reasons. 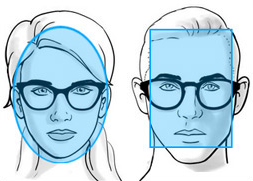 The ability to wear glasses underneath is only one small feature that we love. One, is the huge lens design and rimless goggle. This opens up a world of views, especially in the periphery. The lens in the Smith I/OX OTG Goggles are a carbon x material, a strong material, ideal for taking impacts. This lens is spherical, ensuing a larger range of view, and features Smith's quick change lens technology. In addition the goggle features a rotating outrigger which aids helmet compatibility. However, where these really shine are in their ability to reduce fogging. The I/OX features the Porex™ Filter which toggles air pressure in the goggle to match that outside the goggle. And to further improve this, the lens features a 5X anti-fog inner lens. This best in class coating creates permanent invisible etches which disperses moisture. In turn, combating fogging.